Yesterday several members of Cassels Brock were proudly in attendance at “Carnival on Bay Street”, a cocktail reception in celebration of the National Bar Association’s visit to Toronto. 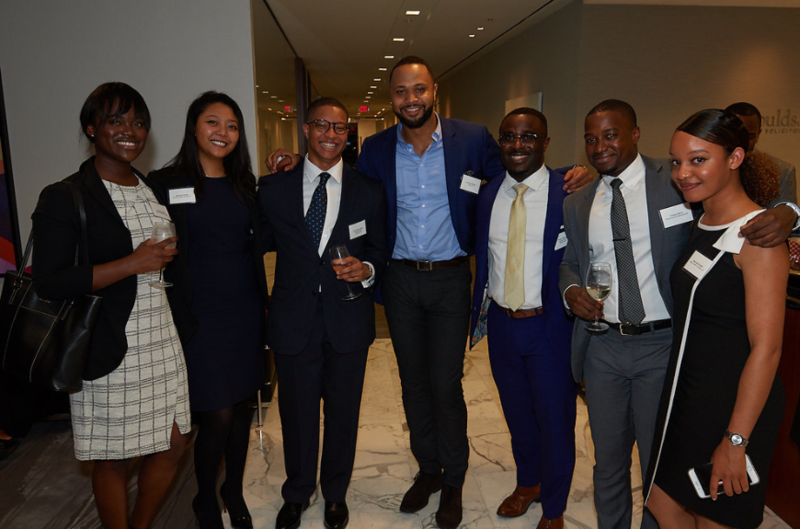 The event was hosted by Black Partners on Bay Street, a network of Black partners at leading business law firms in Toronto who are dedicated to promoting diversity and inclusion on Bay Street and more broadly in the legal profession. Photograph: Kojo Hayward and Tristan Davis (2nd and 3rd students from the right) posing with several other students on Bay St. at the event. “It was phenomenal to see the joy, positivity, and excellence in the room. The crowd was brilliant and beautiful. The food was delicious and plentiful. The music was upbeat and cheerful. The vibe at the event was perfect. Comments Off on Carnival on Bay St.